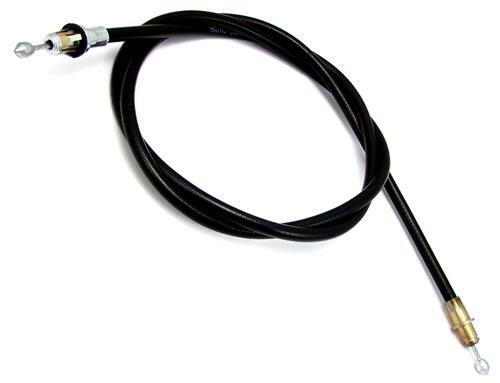 Replace your stretched or broken 1994-1998 Mustang rear parking brake cable with this high-quality replacement! Over the years, parking brake cables can become stretched or broken from constant use. Replace your 1994-1998 Mustang parking brake cable with this high-quality replacement! This replacement cable runs from the rear axle up into your Mustang to the center cable coming out of the car. Two are required per car and this cable fits both the LH or RH side. Sold individually.